In September, October 1970, a visit of Ghantasala with an accompanying troupe of਀洀甀猀椀挀愀氀 愀猀猀椀猀琀愀渀琀猀 愀渀搀 琀栀攀 洀椀洀椀挀爀礀 愀爀琀椀猀琀 嘀攀渀甀洀愀搀栀愀瘀 琀漀 愀 猀攀氀攀挀琀 猀攀琀 漀昀  American cities was sponsored by Palanki਀刀愀洀愀爀愀漀 ⠀倀刀⤀ 最愀爀甀 漀昀 一攀眀 䨀攀爀猀攀礀⸀ 倀刀 欀渀漀眀猀 䬀愀琀琀愀 䴀甀爀琀礀 ⠀䬀䴀⤀ 漀昀 䄀渀渀 䄀爀戀漀爀⸀  So, PR called KM and asked whether it would be possible to arrange a਀瘀椀猀椀琀 漀昀 琀栀攀 最爀漀甀瀀 琀漀 䐀攀琀爀漀椀琀⸀㰀⼀倀㸀  ਀㰀倀㸀䄀琀 琀栀愀琀 琀椀洀攀 琀栀攀爀攀 眀愀猀 渀漀 吀攀氀甀最甀 愀猀猀漀挀椀愀琀椀漀渀 椀渀 䴀椀挀栀椀最愀渀⸀ 匀漀 䬀䴀 琀愀氀欀攀搀 眀椀琀栀  Tummala Madhavarao (TM) and Cerukuri Ramarao (CR) and some others਀愀戀漀甀琀 琀栀攀 瀀漀猀猀椀戀椀氀椀琀礀 漀昀 琀栀攀 瘀椀猀椀琀⸀ 吀栀攀礀 琀栀漀甀最栀琀 琀栀愀琀 椀琀 眀愀猀 愀 最爀攀愀琀  opportunity that should not be passed up, and started organizing for the਀瘀椀猀椀琀⸀㰀⼀倀㸀  ਀㰀倀㸀圀栀攀渀 琀栀攀 最爀漀甀瀀 愀爀爀椀瘀攀搀Ⰰ 䜀栀愀渀琀愀猀愀氀愀 眀愀猀 愀氀爀攀愀搀礀 猀甀昀昀攀爀椀渀最 昀爀漀洀 愀 猀攀瘀攀爀攀 挀漀氀搀 愀渀搀  exhaustion from continuous travel. Each member of the visiting group was਀瀀爀漀瘀椀搀攀搀 愀挀挀漀洀洀漀搀愀琀椀漀渀 昀漀爀 琀栀攀椀爀 猀琀愀礀 眀椀琀栀 愀 吀攀氀甀最甀 昀愀洀椀氀礀 氀椀瘀椀渀最 愀爀漀甀渀搀  Detroit. Ghantasala stayed in CR's house. Lunches and dinners to honor the਀瘀椀猀椀琀椀渀最 琀爀漀甀瀀攀 眀攀爀攀 漀爀最愀渀椀稀攀搀 戀礀 洀愀渀礀 吀攀氀甀最甀 昀愀洀椀氀椀攀猀Ⰰ 戀甀琀 䜀栀愀渀琀愀猀愀氀愀 搀椀搀 渀漀琀 愀琀琀攀渀搀 愀渀礀  of them because of his cold, and also because he was afraid਀漀昀 氀漀漀猀椀渀最 栀椀猀 瘀漀椀挀攀 戀礀 攀愀琀椀渀最 琀漀漀 洀甀挀栀⸀㰀⼀倀㸀  ਀㰀倀㸀吀栀攀 最爀漀甀瀀 猀琀愀礀攀搀 椀渀 䴀椀挀栀椀最愀渀 昀漀爀 漀渀氀礀 愀 挀漀甀瀀氀攀 漀昀 搀愀礀猀⸀ 䐀甀爀椀渀最 琀栀攀  daytimes, we took the group sightseeing, visiting Detroit city, and਀氀愀渀搀洀愀爀欀猀 氀椀欀攀 琀栀攀 䜀爀攀攀渀 昀椀攀氀搀 瘀椀氀氀愀最攀 愀渀搀 琀栀攀 䘀漀爀搀 䄀猀猀攀洀戀氀礀 瀀氀愀渀琀⸀ 䜀栀愀渀琀愀猀愀氀愀  joined some of these trips and seemed to enjoy them immensely. The main event was of course the concert held one evening. In spite of਀栀椀猀 瀀漀漀爀 栀攀愀氀琀栀 䜀栀愀渀琀愀猀愀氀愀 椀渀猀椀猀琀攀搀 漀渀 昀甀氀昀椀氀氀椀渀最 栀椀猀 挀漀洀洀椀琀洀攀渀琀 琀漀 栀椀猀 昀愀渀猀Ⰰ  and the concert started around 7 PM, with his rendering of ਀ᰀᜌ⸌䜌‌⸀㸌⼌㸌‌Ⰰ䴌「␌䄌ᔌ䜌‌⸀㸌⼌㸌⸌  He started the concert saying నా పాటల్లొ అన్నిటికన్నా నాకు నచ్చింది ఇదే. సోదరుడు నాగేస్వరరావ్‌ దేవదాసులో ఈ పాటకు అద్భుతమైన నటన ప్రదర్సించాడు.਀䘀漀爀 洀愀渀礀 椀渀 琀栀攀 愀甀搀椀攀渀挀攀 椀琀 眀愀猀 愀 最爀攀愀琀 琀栀爀椀氀氀 琀漀 栀攀愀爀  Ghantasala sing this song in person, and there was wild applause for a long time. The concert was attended by an unbelievably large crowd consisting of਀渀漀琀 漀渀氀礀 吀攀氀甀最甀 瀀攀漀瀀氀攀Ⰰ 戀甀琀 愀氀猀漀 洀愀渀礀 瀀攀漀瀀氀攀 昀爀漀洀 愀氀氀 猀琀愀琀攀猀 椀渀 匀漀甀琀栀  India, and many North Indians as well, and it lasted many hours. We਀眀愀渀琀攀搀 琀漀 爀攀椀洀戀甀爀猀攀 琀栀攀 瘀椀猀椀琀椀渀最 最爀漀甀瀀 昀漀爀 愀琀 氀攀愀猀琀 琀栀攀椀爀 琀爀愀瘀攀氀  expenses, so we had to charge $10/person, which was considered a large਀愀洀漀甀渀琀 愀琀 琀栀愀琀 琀椀洀攀 戀礀 洀愀渀礀 瀀攀漀瀀氀攀⸀㰀⼀倀㸀  ਀㰀倀㸀䔀瘀攀渀 愀爀漀甀渀搀 洀椀搀渀椀最栀琀 琀栀攀 愀甀搀椀攀渀挀攀 眀攀爀攀 戀爀椀渀最椀渀最 猀氀椀瀀猀 漀昀 瀀愀瀀攀爀 眀椀琀栀 渀愀洀攀猀  of songs that they wanted Ghantasala to sing. 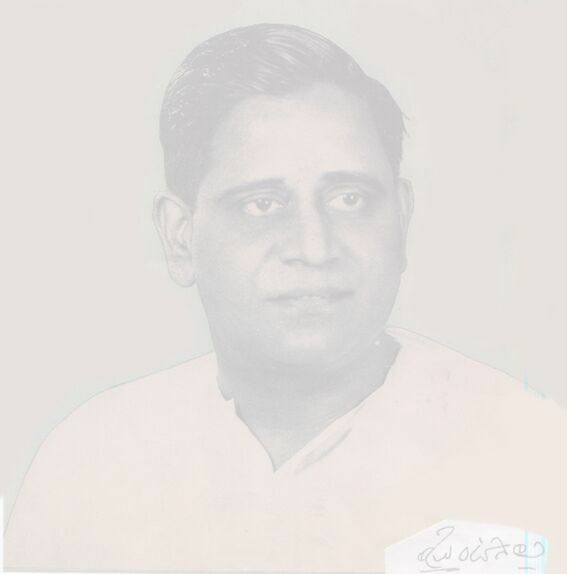 At that time Ghantasala made an anouncement਀琀漀 琀栀攀 昀漀氀氀漀眀椀渀最 攀昀昀攀挀琀 ⸀㼌␌䴌「䄌㈌ᔌ䄌‌⠀⸌㠌䴌ᔌ㸌「Ȍ⸌ Ԁ「䴌┌「㸌␌䴌「㼌‌ᔀ㸌㔌㠌䴌␌䬌Ȍ☌㼌Ⰼ Ԁ⼌㼌⠌㸌‌܀Ȍᔌ㸌‌ᨀ㸌㈌㸌‌⨀㸌Ἄ㈌䄌‌⨀㸌ℌ⸌⠌㼌‌ᔀ䬌「䄌␌䄌⠌䴌⠌㸌「䄌⸌ ⠀㸌ᨌ䜌␌‌⨀㸌ℌ㼌Ȍᨌ䄌ᔌ䬌㔌㸌㈌㸌⠌䜌‌⸀䀌‌Ԁⴌ㼌㈌㸌㜌ᔌ䄌‌✀⠌䴌⼌㔌㸌☌㸌㈌䄌Ⰼ ᔀ㸌⠌䀌‌؀㈌㠌䴌⼌Ȍ‌Ԁ㔌ℌȌ⸌䈌㈌㸌⠌‌܀㔌㸌㌌䴌Ἄ㼌ᔌ㼌‌؀⨌⠌㼌㔌䴌㔌⸌⠌㼌‌⠀㸌‌ᔀ䬌「㼌ᔌ⸌ ⸀䀌ᔌ䄌‌܀Ȍᔌ㸌‌⠀㸌‌⨀㸌Ἄ㈌䄌‌㔀㼌⠌㸌㈌⠌㼌ऌȌἌ䜌‌⠀⠌䴌⠌䄌‌⸀㌌䴌㌌䀌‌܀Ȍᔌ䨌ᔌ㠌㸌「㼌‌⸀䀌‌਀「䄌ᔌ㼌‌⨀㼌㈌㼌⨌㼌Ȍᨌ䄌ᔌ䬌⸌⠌㼌‌⠀㸌‌⨀䴌「㸌「䴌✌⠌⸌ ܀⨌䴌⨌䄌ℌ䄌‌⸀Ȍᜌ㌌Ȍ‌⨀㸌ℌ㼌‌܀㔌䴌㔌㸌㌌䴌㌌‌⸀䄌ᜌ㼌㠌䴌␌㸌⸌䄌‌ༀ⸌䀌‌Ԁ⠌䄌ᔌ䬌ᔌȌℌ㼌㰌⼀倀㸀  ਀㰀倀㸀吀栀椀猀 眀愀礀 琀栀攀 瀀爀漀最爀愀洀 眀愀猀 愀 猀甀挀挀攀猀猀 戀攀礀漀渀搀 漀甀爀 攀砀瀀攀挀琀愀琀椀漀渀猀⸀ 吀栀椀猀  concert was the starting point for Telugu programs in Michigan. Shortly਀愀昀琀攀爀 琀栀愀琀 瀀爀漀最爀愀洀 琀栀攀 䐀攀琀爀漀椀琀 吀攀氀甀最甀 䄀猀猀漀挀椀愀琀椀漀渀 ⠀䐀吀䄀⤀ 琀漀漀欀 猀栀愀瀀攀⸀ 䜀栀愀渀琀愀猀愀氀愀✀猀  trip and his concert provided the impetus for the birth of this association.